A native of Irmo, South Carolina, Andrew served as an Education Volunteer in Mozambique, where he taught secondary school physics. Andrew during his Peace Corps service in Mozambique. 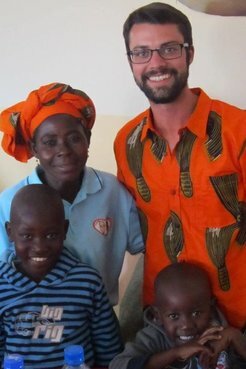 Andrew’s commitment to service began prior to his time as a Peace Corps Volunteer. He was a physics and math tutor at the Citadel in Charleston and an Eagle Scout in Boy Scouts of America Troop 312. Andrew loved music and played the trumpet, guitar, drums, bass, and piano. He was also passionate about the outdoors, cooking, gardening, travel, and learning. All donations to the Andrew Jennings Farr Memorial Fund will support Peace Corps Partnership Program (PCPP) projects in Mozambique that focus on education.